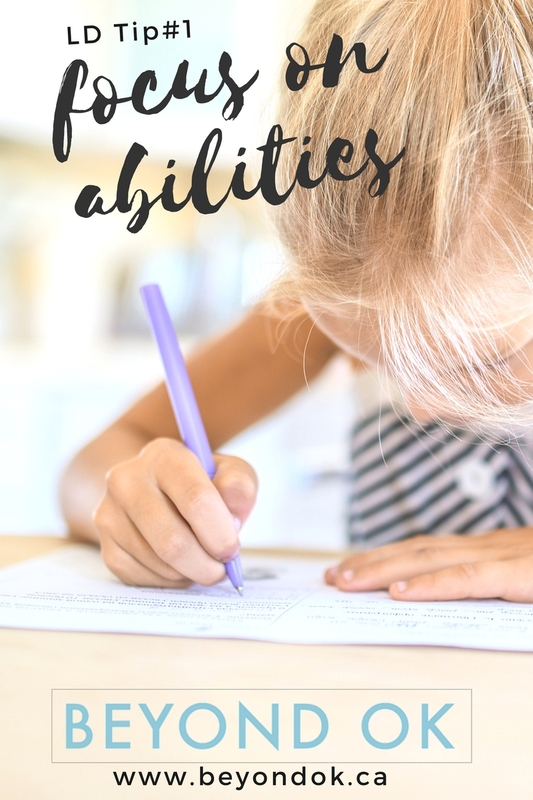 You might have heard people talking about focusing on abilities or strengths when it comes to helping your child with their learning but really what does that mean? Let's go back to my childhood for an example. When I think about my abilities as a child, I think about when my grade 3 teacher said I was the best 'printer' in the class -- meaning I could make the best letters. That was the first time I was ever told I was the best at anything in school -- so of course-- this moment in time is etched into my mind! I could copy anything put in front of me. So if you put the letter or word in front of me I could copy it. That was one of my strengths. Just like I can recall a phone number by the placement of the numbers on the keyboard. Or recall a word by remembering where it was placed on a page. These are my visual and kinesthetic strengths. I have more examples but you get the idea, right? So if you find your child can offer the correct answers when the answers are listed in front of them or they can recall how to use an app without help -- they have visual abilities that allow them to excel -- and these abilities or strengths can also help them to learn in a way that fits them. That's why is important to look at what your child does well and then figure out how these abilities can be used to help them learn. If your child has visual strengths then using tools such as apps or other technology or tools will allow your child to write or read at the level they couldn't if you only focus on their difficulties.